Traditional testing methodology tells us to 1) test only one thing at a time, 2) always test head to head and 3) always test statistically valid samples. This works fine when you have lots of time. But what if you need to know what will work for your product and target audience right away? And what if your mailing universe is constrained to 100,000 names or less, as many business-to- business or geographically constrained direct marketers are? With a limited number of names to mail, conventional testing may limit the number of test cells to fewer than 10, even if you tested the entire file. Often, that's just not enough testing, particularly if there is no control package and little or no time to find one. 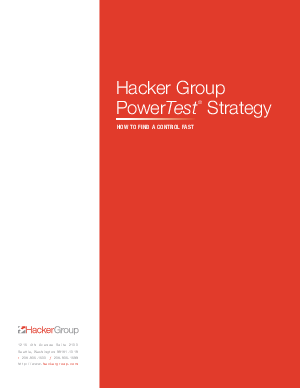 The objective of a PowerTest® is to develop a campaign control (medium, offer, creative approach and more) as fast as possible. With a properly run PowerTest, you can usually find a winner - or several winners - in the first test, and almost always by the second test event. This unique multivariate testing approach shows how to find a winning marketing strategy in a hurry.